This is funny i bought last month the same skirt from Terranova,and i bought a blue one also! This skirt is so cute! I must buy something like this also, cause this print is sooo beautiful! totally in love with the print! 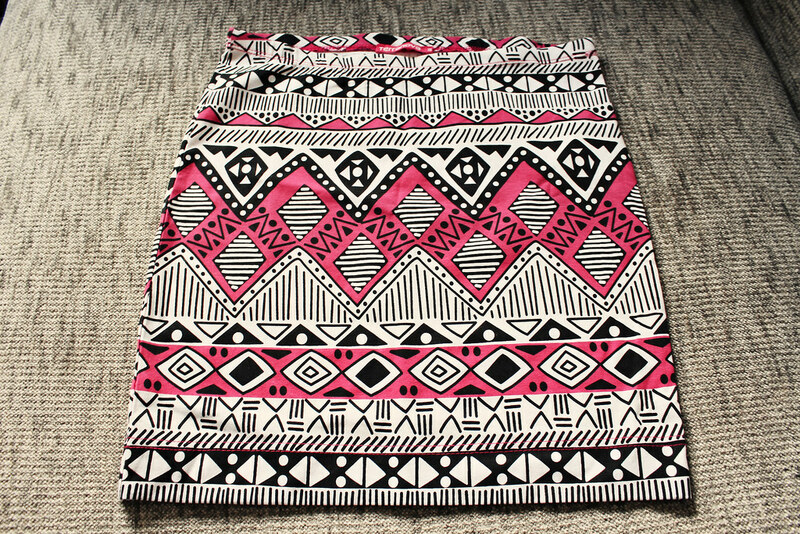 I love aztec print as well and I have the same skirt from Terranova but black and white version! They have some really nice stuff there this season! have a great weekend! This skirt is perfect, I'm looking for one gor so long! Very summery skirt! Waiting for your outfit with it! 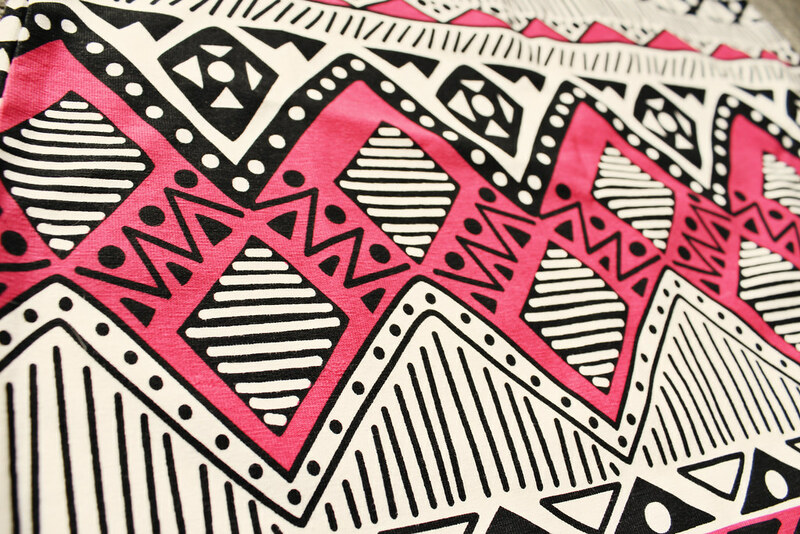 Adore the aztec printed skirt, the pops of bright pink in it is lovely! So cool print!! I love that skirt! Coincidentally, my new arrivals involve a lot of floral and Aztec prints too. Make sure to stay updated! It would look so good with a pair of tanned legs! Oh really lovely and cute skirt! Very cute, love the pink. I like aztec, really cute skirt! Hi dear!! Awesome blog… I found you in some friend's post and I really like your style and a lot of your photos are just sooo inspiring that I could'nt just walk away without looking at all your stuff. I invite you to check ot my cute blog and follow me if you want. Love the pattern, it's so eye catching! i really love the skirt, dear! What about following each other? Let me know! I absolutely love aztec prints – it is one of my favorite trends of the moment! This skirt is so gorgeous. Love this skirt! The print and colors are beautiful and oh so perfect for summer! So cute – great purchase! Love the tribal print, and the price is awesome! I just followed you on GFC. If you want, we can follow each other on other platforms, just let me know. Btw, I’m having giveaway on my blog: Firmoo sunglasses! There are 7 amazing prices, come and participate! That skirt is beyond gorgeous! great find! That is such a lovely print! Thanks for your visit hun, may this week be a great one for you! I discovered my love for tribal prints last year, they are so versatile and can be combined in 1000 variations. Great find dear! Thank you for the comment on my blog 🙂 I love this skirt, it's so gorgeous!! I've just followed you on bloglovin! I have wanted an Aztec print skirt, but I wanted more with rhinestones! Would love to follow each other. Thanks for stopping by. wow i love your skirt! is so lovely!